Superlatives and Mongols go hand in hand. But did these nomadic forces from the nigh ‘edge of the world’ only depend on brutality and ferocity for their innumerable successes on the medieval battlefields of Asia and Eastern Europe? Well, modern historians and scholar believe there is much more to the subject than just a ‘barbarian’ categorization exaggerated by fear and disgust. As a matter of fact – evidences, sources and their detailed studies have shown that Mongols were master strategists with unmatched tactical acumen and intrinsic discipline. 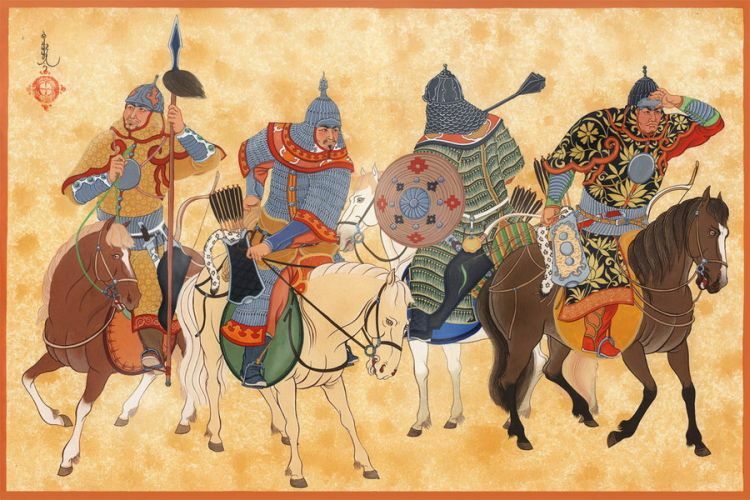 So, without further ado, let us check out fourteen interesting facts about the Mongols that made them stand apart from their foes. 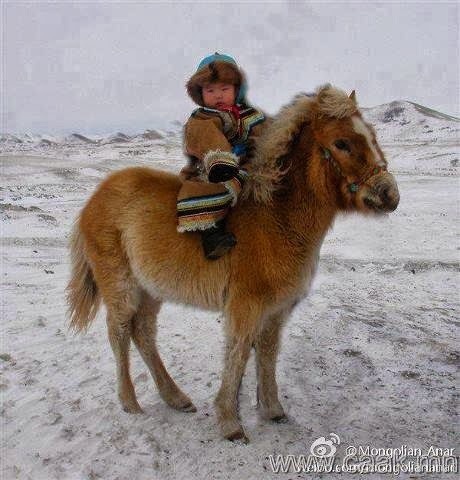 As a child’s age crossed the threshold of three years, it was his mother’s responsibility to teach him to ride horses. One of the preliminary exercises involved the child to be tied to the horse’s back, so as to prevent any accidental injury – which certainly gives us an indication on how fast the horse was trained to run. After a year or two, the Mongol child was finally presented with his bow and arrow, and his lifelong pursuit as a hunter and a warrior effectively started from that period. In fact, he was expected to join in military campaigns by a very early age. He was also expected to sleep in his saddle when the need arose, thus alluding to stoical hardship of the nomadic equestrian society. The Mongol’s keen sight had been attested by various then-contemporary sources, with seemingly unbelievable claims. Some of them pertain to how a Mongol can make out an enemy hiding behind the scanty bushes of the wild steppes from a 4-mile distance, while also having the incredible capacity to discern between man and beast from a 18-mile distance. Such apparently exaggerated claims surely had some basis on the strong visual memory exhibited by a regular Mongol warrior. To that end, most soldiers from the Mongol army was required to know his surroundings well that could aid in scouting and foraging. Moreover, he was also expected to have a great deal of knowledge about the local weather conditions, vegetation, grazing lands and most importantly water supply. In our previous point, we touched upon the Mongol’s capacity for foraging. However, given the daily test of hardships they had to face, a Mongol was also capable of surviving without food rations for days on end. Their military-provided rations were frugal to begin with – with just dried milk curd (that was mixed with water and drank as a thin-watery yogurt), cured meat (which was further tenderized by keeping it under the saddle) and ‘kumis‘ (an alcoholic beverage made from fermented mare’s milk). But when the rations ran out, the Mongol was not loathe to try other exotic ‘dishes’ that ranged from hunted dogs, wolves to rats and even new-born foals. Giovanni Da Pian Del Carpini, the Franciscan friar who was sent to the Mongol Empire on a diplomatic mission by Pope Innocent IV, cited that the Mongols also engaged (very rarely) in cannibalism – with one notable incident of siege in which they had to kill one out every ten soldiers for food. Marco Polo additionally claimed that the Mongols could also subsist on the blood of their horses, which was derived by puncturing a vein in the animal’s neck and letting the blood spurt directly into their mouths. It is unsurprising that the regular Mongol warrior’s main weapon of choice was his compound bow (or more accurately, the ‘composite bow’), which was capable of delivering a pull of 75 kg (or 166 lbs) and had a substantial range of over 250 yards (230 m or 750 ft). 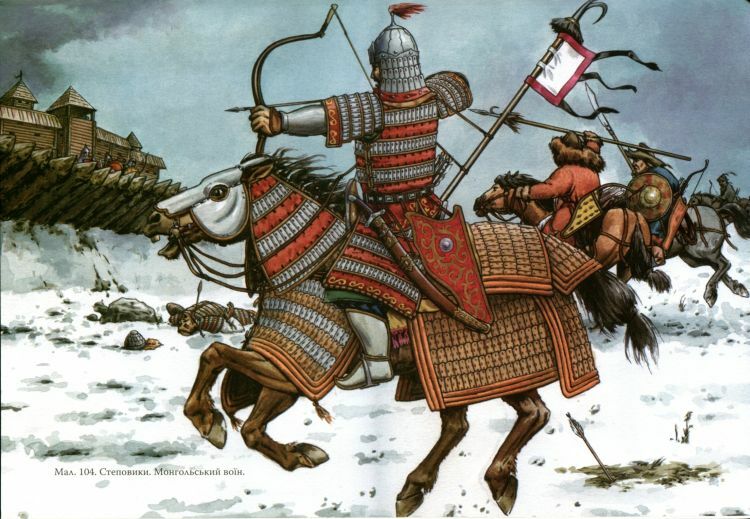 Furthermore, Carpini had claimed that the Mongols carried two types of arrows – with the lighter ones used for long range firing and the broader, heavier ones used for close quarter missile attacks. To that end, the arrow heads were manufactured and treated with a special technique in which they were heated till red-hot conditions and then immediately plunged into salted water. This infused them with greater armor piercing quality that was instrumental in dealing with heavier armored foes like the Khwarazmians and the Russians. 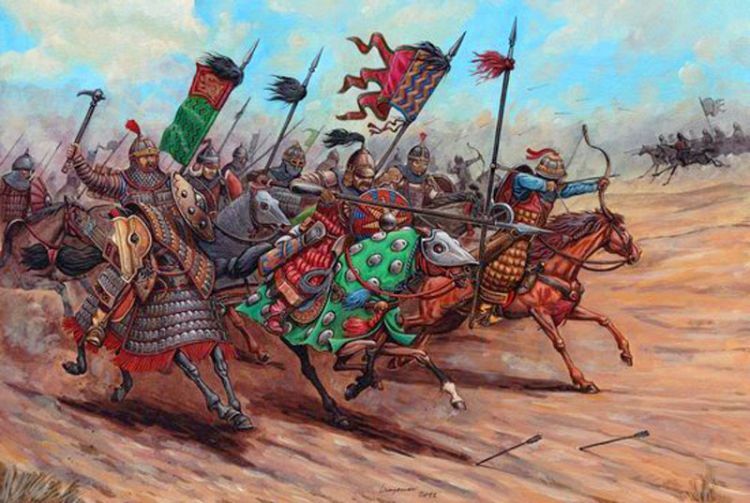 Unbiased studies done in our modern times have shed some new light into the logistical support and mobility of Mongol forces in 13th century AD. 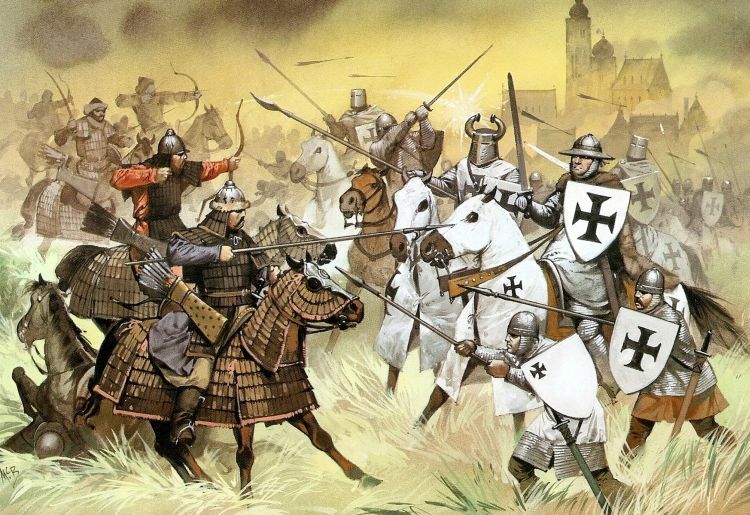 Intriguingly, it has also been established that the Mongols were actually outnumbered by their foes in most of the battles they emerged victorious. So, the question naturally arises – why did the Europeans and other powers perceived the Mongol generals to have astronomical hordes of soldiers supporting them? Well, the answer relates to the evolved tactics of the Mongols in the battlefield. To that end, the nomads were known for their far superior mobility and enveloping strategies that allowed them to encircle their enemies from all sides – which fueled the false notion of superior-in-number forces. Another interesting decoy tactic used by the Mongols entailed positioning stuffed dummies atop horses – an animal resource that was always available to them in great quantity (each Mongol warrior was known to have five to six horses for each campaign). There were cases of elaborate ruse when the generals intentionally surrounded themselves with a bevy of dummy soldiers, thus endowing them with an intimidatory air. 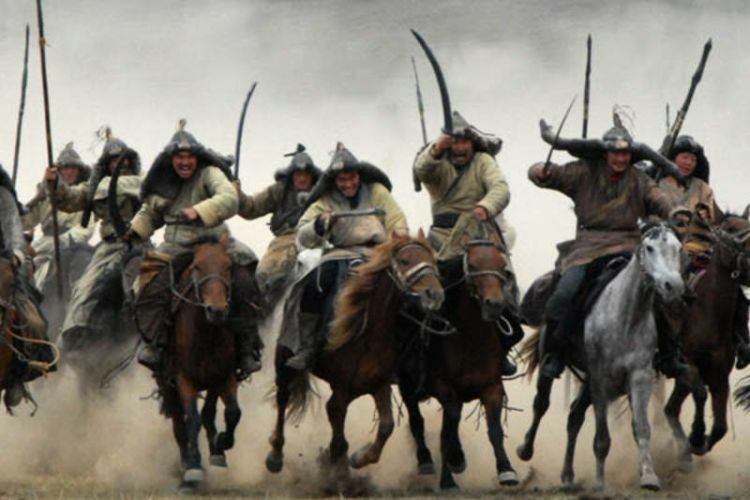 And lastly, the Mongol troopers were also known for tying sticks to their horses’ tails that raised enormous dust clouds on their backs, which made the enemies think of huge Mongol reinforcements approaching the battlefield! 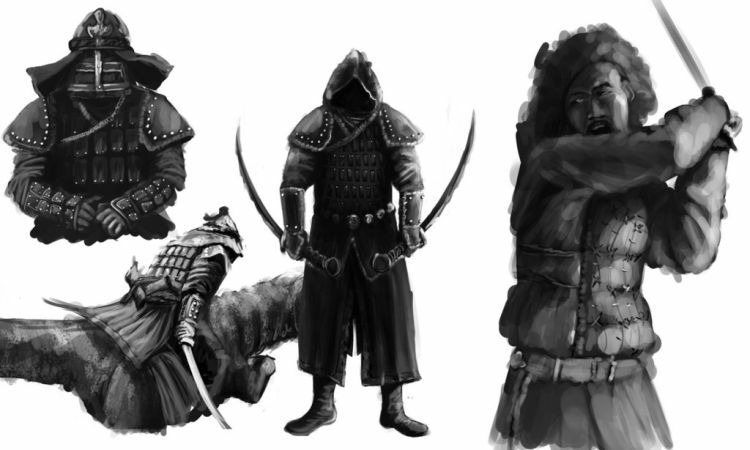 For a Mongol force, the war started much before their entry into the battlefield. Sir John Mandeville termed it as the ‘great dread’ – an incredible psychological and spying endeavor that was nigh tailored to perfection. In that regard, the Mongol high command made immaculately detailed plans on how to infiltrate the enemy territory and gather first hand knowledge about their defensive systems, roads, crop lands, water supplies and even grazing lands. Spies were further recruited to plant dissension among the enemy warlords and kings. Propaganda was also used to entice the local population, with the Mongols projecting themselves as potential liberators to the poor people. However, where the Mongols truly stood apart from their foes was their ‘practical’ approach to cruelty. This essence of ‘shock and awe’ pertained to entire city populations being mercilessly massacred – as the means to an end of psychological dominance. The exaggerated numbers of their army and such ominous words of brutality did rattle many an enemy in face of the Mongol onslaught. It is a peasantry in the guise of an army, all of them, great and small, noble and base, in time of battle becoming swordsmen, archers, lancers and advancing in whatever manner the occasion requires.